WreckMaster™ Interlocking Tire Skates are sold in a set of 4 and are available in black and neon green. 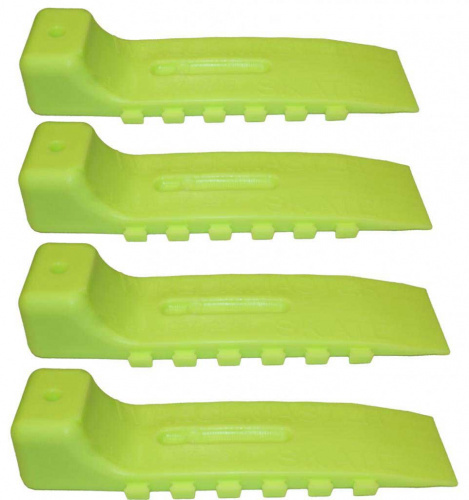 Interlocking teeth, these skates can be used in a variety of sizes to assist with any need. The center groove accommodates brake rotors when moving vehicles without wheels.